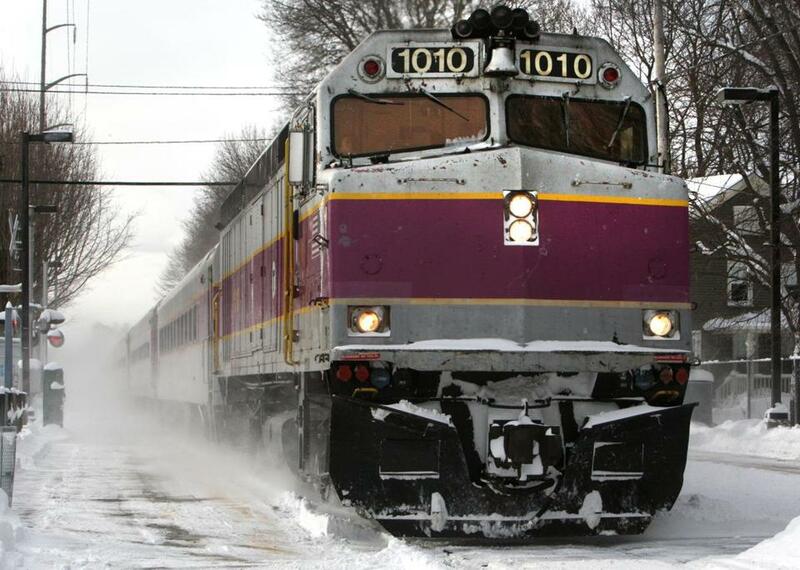 An MBTA commuter rail train, operated by Massachusetts Bay Commuter Railroad Co., pulled into the Montserrat stop in Beverly earlier this year. Massachusetts Bay Commuter Railroad Co., which lost its bid to continue running the state’s commuter rail network, plans to file a request Thursday asking a judge to stop the winning bidder, Keolis Commuter Services, from taking over, arguing that the award process was skewed by favoritism. The conflict threatens to disrupt the scheduled July 1 takeover and risks leaving hundreds of thousands of riders in the lurch. The commuter rail contract, awarded at the end of January, would grant Keolis $2.68 billion over eight years, a price tag 6 percent lower than MBCR’s final bid. A draft of MBCR’s court filing provided to the Globe contends that Keolis lied about its record of accidents and fatalities in Europe and failed to meet requirements for hiring minority-owned subcontractors. It also says the Massachusetts Bay Transportation Authority helped guide Keolis through the bidding procedures, in some cases coaching it on navigating the process. In addition, MBCR alleges the narrow profit margin Keolis outlined is too risky to be realistic. “The procurement process was deeply flawed; the MBTA failed to put the bidders on an equal footing, made arbitrary and capricious decisions, failed to follow the terms of the bid documents or do minimum due diligence, and was influenced by misrepresentations made by SNCF/Keolis,” the filing states. MBCR officials are asking a Suffolk Superior Court judge to halt the hand-off process; demand that the T expedite a review of a pending administrative challenge MBCR filed last month; hold a hearing to overturn the T’s final decision; and require the T to either return the contract to MBCR or scrap the results and rebid the contract. MBCR alleges the January vote to award the contract followed unfair help from the MBTA to Keolis, the winner. MBCR faces an uphill court battle, legal experts said, even if the bidding process was flawed. It is rare, though not unheard of, for a court to grant an injunction to a losing bidder. 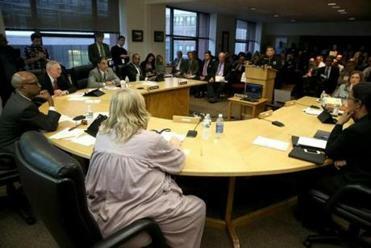 MBCR “continues to play the role of obstructionist,” the spokesman said. MBTA officials said they are reviewing the allegations, many of which were also noted in the administrative challenge, called a bid protest, filed by MBCR last month. But the T officials were emphatic that MBCR’s decision to pursue legal action is out of line. “If MBCR proceeds to seek an injunction, it will do so in blatant violation of the procedural rules it agreed to and the contractual promises it made to the MBTA under its current contract,” T spokesman Joe Pesaturo said in a statement. But MBCR officials said they believe the T is allowing the administrative protest to languish, running out the clock until it is too late to reverse its decision. Among the myriad accusations outlined in MBCR’s court filing is that Keolis does not have enough financial backing in the event it incurs higher-than-expected costs and that its plan to forgo profit does not meet the T’s requirements. Keolis responded by saying it has satisfied the T’s financial requirements by contributing $18 million in working capital. Keolis and its majority shareholder, the French national railway, known as SNCF, have also posted a $20 million standby letter of credit, said Eisner, the Keolis spokesman. MBCR’s filing also alleges that some T officials appeared to bend over backward to guide Keolis through the bidding process, giving it an unfair edge. The filing quotes an e-mail exchange in which the T’s deputy general counsel, Gerald K. Kelley, twice advised Keolis to withdraw the company’s question about whether its financial guarantees were adequate, an advisement made, MBCR argues, to prevent the financial question from being identified as an issue. The T, he said, seems to have worked to help Keolis, contrary to the conventional wisdom that a contract renewal was “in the bag” for MBCR. MBCR also alleges that the T’s estimate on the true cost of running the commuter railroad, the baseline estimate to which MBCR’s and Keolis’s were compared, was low-balled due to fuzzy math by as much as $428.6 million over the eight-year contract. To support its contention, MBCR produced documents by Kenrich Group, a business consulting firm hired by MBCR. MBCR’s filing also points out that two of the top transportation experts billed as incoming managers have now declined the job of running the Massachusetts system. The court filing includes arguments that Keolis provided an inadequate security plan and lied in its application about its safety record, saying that its majority owner had had only one major fatal accident, a derailment in July 2013 that killed six people. But there were other accidents, including a 2008 collision between an SNCF train and a school bus that killed seven children, according to a French newspaper. Eisner said Keolis fully disclosed to the MBTA all accidents in which Keolis or SNCF were found to be responsible. MBCR also asserts that Keolis included only a bare minimum of proposed subcontractors owned by women and minorities. But Keolis said that now that it has won the bid, more minority-owned businesses have reached out to the company. “Keolis will meet or exceed the contractual requirements,” Eisner said. Peter Enrich, law professor at Northeastern University and former general counsel to the Massachusetts Executive Office for Administration and Finance, said the MBCR legal challenge faces tall odds. The key, Enrich said, will be for MBCR to make the case that the T failed to follow state law, not that it had made incorrect judgements in following its own rules. Enrich said the court will probably take into account the fact that interrupting the mobilization process could potentially destroy the possibility of a July 1 takeover and disrupt commuter rail service. Keolis said the company is pressing forward with the transition. MBCR said it plans to file its injunction request Thursday morning. Sullivan believes the procurement process was poorly designed. Still, he said, that doesn’t mean that MBCR deserved to win. “It’s a good thing that the contract they chose was the low bidder; that’s important,” Sullivan said.